The prepaid debit card industry has experienced dramatic growth over the last several years thanks to its increasing affordability and convenience. Center for Financial Services Information manager Thea Garon predicts that this trend will continue, especially among millennials. Garon goes on to suggest that millennials and other generational members will see the lines blur between traditional checking accounts and prepaid debit cards. A Pew Research study revealed that about 12 million Americans use prepaid debit cards. They cite multiple reasons, from the desire to stay away from big banks to the potential for improved savings. Many of them have access to traditional bank accounts, but they choose prepaid instead. The stigma that used to surround prepaid card usage has dissipated as more consumers have chosen them over traditional options. If you’ve ever seen a regular debit card, you know what a personalized prepaid debit card looks like. It features the owner’s name, the card number, the expiration date, and other familiar details. You can’t distinguish them from other cards, and they work just the same. When you want to buy an item online, you’ll enter the card information on the checkout page. Include the security code on the back of the card, if applicable, as well as any other requested information. When you select the “buy” button, the transaction will process, and the merchant will take the money that you’ve loaded onto the card. The process works just the same at retail locations, except that you’ll either hand the cashier the card or use the card machine at the point-of-sale terminal. Just swipe the card or insert it (if it comes with a chip), and the purchase price will be deducted from your balance. Of course, before you can make a purchase, you must first load money on your card. Plenty of cards let you do so online; alternatively, you may add cash to your card in a store or at a financial services institution. When you put money on the card, the total amount becomes your balance. You can spend up to that amount before you have to reload your card with more money. You can also use your prepaid debit card to set up direct deposit. When your payment provider processes your paycheck, the money will get automatically transferred to your card. The same goes for your IRS refund check. Just use your direct deposit info when you process your return so the money gets loaded onto your card automatically. Traditional bank accounts and prepaid debit cards both allow users to manage and track their spending. They also offer a means of financial protection. The primary advantage of prepaid debit cards over traditional bank accounts is that you aren’t subjected to all the costly fees charged by a big bank. Often, big banks provide overdraft protection to account holders. This is a safeguard in case you attempted to spend more money than you had in your account. The bank covers the difference and charges you a fee for the service. Each overdraft charge can exceed $35, and at some banks, it’s even possible to collect more than $300 in overdraft fees in a single day. That doesn’t even include the cost of your purchases. Pew Research suggests that more people use prepaid debit cards for this very reason. Prepaid cards like Green Dot won’t charge you an overdraft fee and, more often than not, the merchant will simply deny the charge. Essentially, prepaid debit cards can help you become more responsible with your money. If you have a checking account with overdraft protection, you might spend more than you should because you know there’s a safety net. However, if you deposit all of your money onto a prepaid debit card, you may feel a bit more obligated to pinch your pennies a little tighter. Prepaid debit cards aren’t bank accounts, though most offer the same protections. You’re typically not liable for fraudulent purchases, for instance. You can even set up direct deposit using your card’s direct deposit account and routing numbers. What Features Are Available with Prepaid Debit Cards? 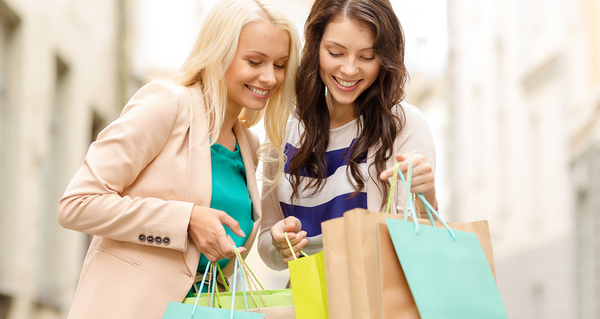 Shop with confidence when you have a prepaid debit card in your wallet. You’ll enjoy several attractive features if you get a prepaid debit card. These cards have become far more flexible and feature-rich in recent years, which could explain their rising popularity. For instance, cash back debit cards offer some of the benefits that you enjoy with a credit card. With Green Dot’s Cash Back Visa® Debit Card, you’ll get cash back on every purchase you make. However, you don’t have to fill out a credit application or pay any interest with this type of card. Many prepaid debit cards allow you to write checks. If your landlord will only accept a paper check for your rent payments, you don’t have to worry about visiting a local bank to get a cashier’s check or money order. With most prepaid debit cards, you can check your balance online, just like you would when online banking with a checking account. Access your money on your computer at home or with your mobile device. That way, you always know how much you have on the card. To make prepaid debit cards even more attractive, you can link your card with your employer to accept direct deposit. If you have a card with Green Dot, you could actually get paid up to 2 days earlier, depending on how your payment provider processes payments. Direct deposit gives you fast access to your paychecks so you don’t have to wait for payments to clear. You can even get your IRS refund direct deposited to your debit card. Some cards let you send or receive money with other cards. For instance, maybe you and your spouse both have a card, and you want to send him or her some extra cash. You can jump online to send or receive the money instantly. Don’t pay high fees at financial institutions when you can avoid it with a prepaid debit card. You can also say goodbye to minimum balance requirements. Banks often charge extra fees if your balance falls below a certain threshold, but prepaid debit cards don’t work that way. Best of all, you won’t get hit with inconvenient charges just because you spend a little more money some months than others. Finally, prepaid debit cards with the Visa or MasterCard® logo offer the ultimate convenience. Since most merchants accept these cards, you don’t have to worry about carrying around cash or having to miss out on purchases you want to make. Just swipe your card or enter your card information online to complete the transaction. Which Card Options Are Available with Green Dot? As one of the most popular and most attractive prepaid debit cards around, Green Dot offers several options for savvy consumers. Whether you’re hoping to earn cash back, establish your credit, or simply keep your money safe, you’ll find a Green Dot solution. The Green Dot Cash Back Visa Debit Card, for instance, allows you to earn 5 percent cash back on every eligible purchase you make, up to $100 annually. Check your rewards balance online to figure out how much cash back you have earned, and then redeem your rewards as cash added to your available balance. Since payment history makes up 35 percent of your FICO score, establishing a payment history with Green Dot can make a big difference in your credit history and score. Over time, you’ll also improve your credit history length, which makes up 10 percent of your score, allowing you to increase your available credit. Alternatively, you can consider Green Dot’s prepaid card. It’s a flagship financial product that allows you to stay in control of your finances. You can set it up to accept payroll direct deposit, tax refund deposit, and MoneyPak. There’s no credit check to get a card and you can even deposit checks with your smartphone. The prepaid debit cards available through Green Dot can help you avoid overdraft fees and other banking expenses while still enjoying the convenience of a MasterCard or Visa card. When you need to add money to your card, you can find MoneyPak at thousands of retailers nationwide as well as in many financial service centers. If you’re ready to join more than 12 million prepaid debit card users, get a card today. 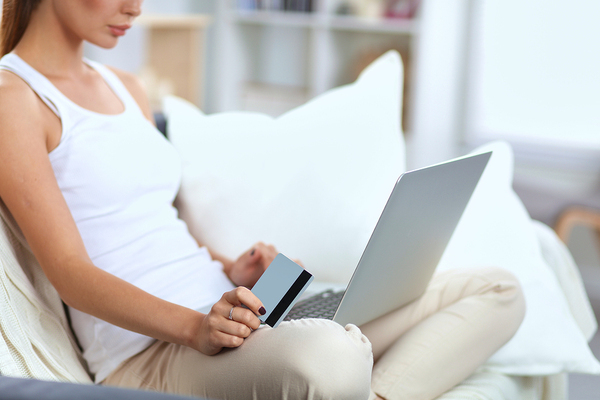 We know you’ll appreciate the convenience and affordability that prepaid debit cards provide. 1. Ability to build credit and get a better score is subject to on-time payment performance and low credit utilization. Late payments, delinquencies or other unfavorable account activity may negatively impact your ability to build credit.